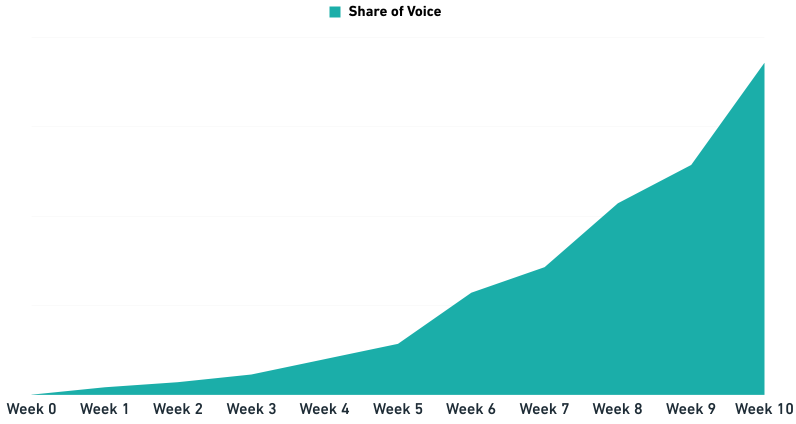 How to measure (and over time forecast) the impact of features that you’re building for SEO and how to measure this from start to finish. A topic that I’ve been thinking about a lot for the last few months is. It’s hard, as most of the actual work that we do can’t be measured easily or directly correlated to results. It requires a lot of resources and mostly a lot of investment (time + money). After having a discussion about this on Twitter with Dawn Anderson, Dr. Pete and Pedro Dias I thought it would be time to write up some more ideas on how to get better at measuring SEO progress and see the impact of what you’re doing. What can you do to safely assume that the right things are impacted. Agreed, there is so much you can monitor as an SEO to basically see the impact. Even when rankings don’t move around. You’ve spent a lot of time writing a new article or working on a new feature/product with your team, so the last thing you want is not to receive search traffic for it. Let’s walk through the steps to get your new pages in the search engines and look at the ways you can ‘measure’ success at every step. The first thing you want that you can impact is making sure that your pages are being crawled, in the hope that right after they’ll be indexed. There’s a different way to do this, you can either submit them through Google Search Console to have them fetched, beg that this form still works, or list your pages in a sitemap and submit these through Google Search Console. Want to go ‘advanced’ (#sarcasm)? you can even ping search engines for new updates to your sitemaps or use something like Pubsubhubbub to notify other sources as well to know there is new content or pages. How to measure success? Have you successfully submitted your URL via the various steps. Then you’ve basically completed this step. For now there’s not much more you can do. This is your first real test, as submitting your page doesn’t even mean these days that your page will be crawled. So you want to make sure that after you submit the page is being seen by Google. After they’ve done this they can evaluate if they find it ‘good enough’ to index it. Before this step you mostly want to make sure that you, indeed, made the best page ever for users. It’s a visit to the hostname: www.example, on the specific path: /example-folder/index.php, which returned a 200 status code (successful) at September 6th. And the User Agent contained Googlebot. If you’re able to filter down on all of this data in your server logs, you can identify what pages are being crawled and which not over a period of time. Want to know more about server logs, read the essentials guide from David Sottimano on Moz. 4. Indexed: Can the URL be found in the Index? Like I mentioned before, a search engine crawling your page doesn’t mean at all that it’s a guarantee that it will also be indexed. Having worked with a lot of sites with pages that are close to duplicate it shows the risk that they might not be indexed. But how do you know and what you can do to evaluate what’s happening? How to measure success? There are two very easy ways, manual: just put the URL in a Google Search and see if the actual page will come up. If you want to do this at a higher scale look at sitemaps indexed data in Google Search Console to see what percentage of pages (if you’re dealing with template pages) is being indexed. The success factor, when your page shows up. It means that it’s getting ready to start ranking (higher). It’s time to start achieving results, the next steps after making sure that your site is indexed is to start achieving rankings. As a better ranking will help you get more visits (even on niche keywords). In this blog posts I won’t go into what you can do to get better rankings as there have been written too many blog posts already about this topic. How to measure success? Read this blog post from Peter O’Neill (Mr. MeasureCamp) on what kind of tracking he added to measure the first visits from Organic Search coming. This is one of the best ways I know for now, as it will also allow you to retrieve this data via the Google Analytics Reporting API making it easier to automate reporting on this. 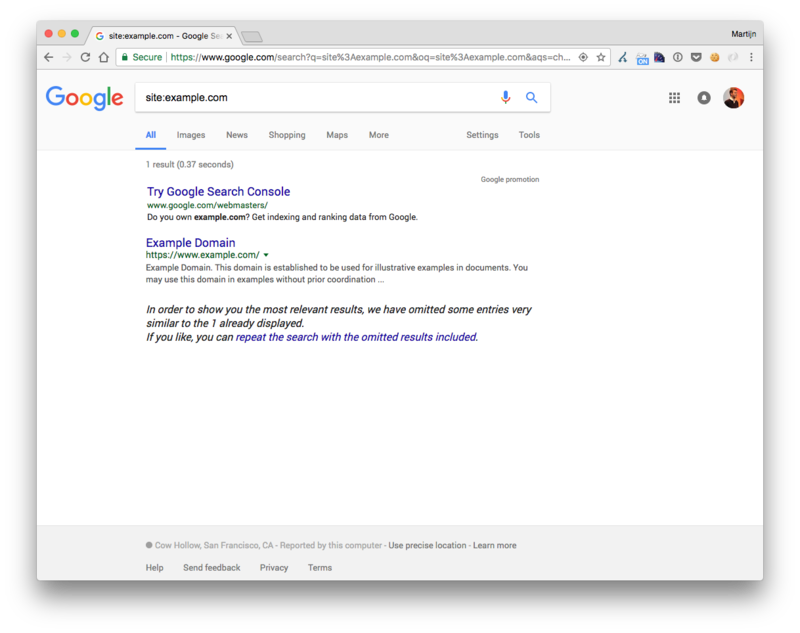 As an alternative you can use Google Search Console and filter down on the Page. So you’re only looking at the data for a specific landing page. Based on that you can see over time how search impressions + clicks have been growing and when (only requirement is that you should have clicks in the first 90 days of launch of this page, but you’re a good SEO so capable of achieving that). In the last step we looked at when you received your first impression. But Google Search Console can also tell you more about the position for a keyword. This is important to know to make sure that you can still increase your efforts or not to get more traffic in certain areas. In some cases it means that you can still improve your CTR% by optimizing the snippet in Google. For some keywords it might mean that you hit your limit, for other it might mean that you can still increase your position by a lot. How to measure success? Look at the same report, Search Analytics, that we just looked for the first visit of a keyword. By enabling the data for the Impressions you can monitor what you rankings are doing. 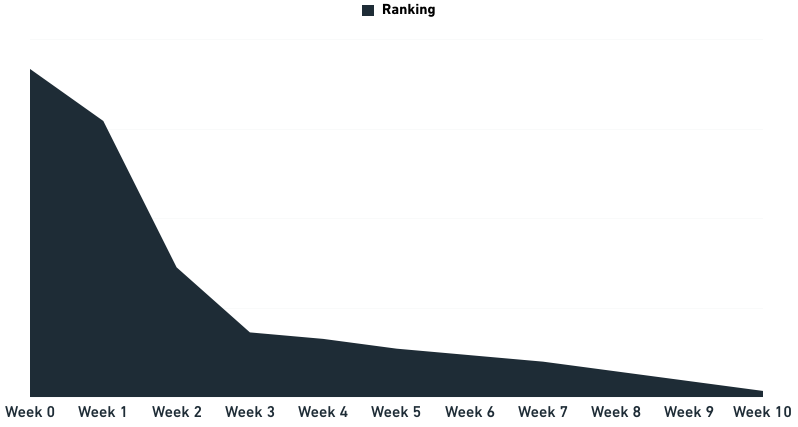 In this example you see that the rankings are fluctuating on a daily basis between 1-3. When you’re able to save the data on this over time you can start tracking rankings in a more efficient way. Note: To do this efficiently you want to filter down on the right country, dates, search type and devices as well. Otherwise you might be looking into data from other countries, devices, etc. that you’re not interested in. For example, I don’t care right now about search outside of the US, I probably rank lower and so they could drop my averages (significantly). As Google Search Console only shows the data on a 90 day basis I would recommend saving the data (export CSV). In a previous blog post I wrote during my time at TNW I explained how to do this at scale via the API. As you’re monitoring more keywords over time this is usually the best way to go. In the last step I briefly mentioned that there is still work to be done when you’re ranking for a specific keyword when you’re in position 1. You can still optimize your snippet usually for a higher CTR%. They’re the easier tasks in optimization I’ve noticed over time. Although at scale it could be time consuming. But how do you find all these keywords. I still believe in keyword rankings, definitely when you know what locations you’re focusing on (on a city, zipcode or state level) you’re able these days to still focus on measuring the actual SERPs via many tools out there (I’m still working on something cool, bear with me for a while until I can release it). The results in these reports can tell you a lot about where you’re improving and if you’re already hitting the first positions in the results. How to measure success? You stay in the same report as you were in before. Make sure that you’ve segmented your results for the right date range and that you segmented on the right device, page, country or search type that you want to be covered in. Export your data and filter or sort the column for position on getting the ones where position == 1. These are the keywords that you might want to stop optimizing for. What steps did I miss in this analysis and could use some more clarification? In the next part of this series I would like to take a next step and see how we can measure the impact from start to finish for links, followed by part three on how to measure conversions and measure business metrics (the metrics that should really matter). In the end when you merge all these different areas you should be able to measure impact in any stage independently. A while back somebody posted the SEO platforms/vendors/tools that he was using at his agency job (as an SEO). Me missing some great tools in there decided to respond but it also got me thinking about my own toolset and decided to dedicate a blog post to it, to get better recommendations and learn from others what they’re using but hopefully also to shine some light on what I am looking for in tools. This is not all of it and I din’t really have time to explain in detail what I’m using specific tools for (I might dedicate some posts over time to this). But at least wanted to give you a first look. So here we go.. It should be easy to use & user friendly, no weird interfaces and stuff that only works (90% of my tools). The most data/features available, or the opposite: have a very specific focus on 1 element of what I’m looking for. They must have an API, so I can build things on top of it, preferably this is included in the pricing of the tool (normal for most tools these days). Obviously Google Search Console is the tool that really matters out of the three. As most of my time is being spent managing our visibility in Google. My favorite reports are Search Analytics for getting a quick overview in our performance (we use most of their data outside of it, by using their API/R library). Structured Data (don’t forget about the Structured Data Testing Tool) to track what we’re doing with Schema.org on our pages. From time to time I might look into the Index Status report when I’m dealing with multiple domains at the same time. One of the reasons why I like Bing Webmaster Tools is that their Index Explorer enables you to find directories & subdomains that exist on the site. A great benefit if you’re just getting started with a new site. Still after years at The Next Web and these days at Postmates I’m find out about folders or subdomains that you never hear about on a day to day basis but might cause issues for SEO. You get the point on this one right? You’re tracking your traffic and the combination of the two can help you track all the contextual data through custom dimensions or other metrics/dimensions that will help you understand your data better. I’ve blogged about them many times on The Next Web while I was there and will remain to do so in the future. Getting more insights in your technical structure is super valuable when you’re working on a technical audit. But ScreamingFrog for day to day use for subsets of data and Deepcrawl for weekly all-pages crawls are very powerful and help me get more insights into what kind of pages or segments are creating issues. I like to use them both as they have different reports and certain differences between tools help me better understand issues. In my current toolset, Botify which I’ll mention later in this document, is a third option. You always want more insights in keywords and you want to know more about them, that’s what both tools are great at. They give you a great basis for a keyword research which you can use as the start of your site’s architecture, keyword structures and internal links structures. In my previous blog post on Google Search Console I kicked off the basis for a keyword research based on that, if you want to take it easy: go with these tools (as a start). Majestic, might not be the most user friendly (hint & sorry! ), but as they have one of the largest indexes it’s great for link research. In this case I definitely value data + quality over the friendliness of the tool. I still deeply believe in using ranking data, as I have the opportunity to do this at large scale & use the data for both national & local level it helps me get a better understanding in what’s happening in the rankings and mostly what’s moving. It doesn’t necessarily have to be that I’m interested in our own rankings or our competitors. But if certain features in the SERP suddenly move up it will help me understand why certain metrics are moving (or not). It’s a great provider of intelligence data that you can leverage for prioritization and measuring your impact. AuthorityLabs used to be my favourite tool to use, these days as they changed their pricing model I switched over to SERPmetrics. I’ll try to write a follow up blog post on this explaining how this data can help you in getting more insights into the performance of the features/products that you build. But getting more insights from the log file data that you have on your servers can be extremely useful (must add that this is a thing that mostly applies to big site SEO). Right now I’m using Botify for this. For bigger sites it’s really hard to keep up to date on the latest changes as so many people are working on it. That’s why we want to make sure that you get alerted when important SEO features are changing. We’re using some custom scripts in Google Drive but also like to use SEORadar. My former coworker Julian wrote a great blog post on how to scale up ScreamingFrog and run it on a Google Cloud server. It’s one of many use cases why you want to use the Google Cloud Platform. Besides their server, analyzing large data sets with BigQuery (with or without using their Google Analytics connection) provides you with a better ability to handle large sums of data (log file, internal databases, etc.). Data: In addition to the tools I just listed, there are a few APIs that I’m using on a regular basis that are making my life easier as they’re providing a lot of data. They’re APIs to retrieve keyword volumes and related keywords, to handle things on a bigger scale you’re going to want to be able to work with APIs instead of dealing with Excel files. Reporting: Most of the reports that you’re delivering on can be automated. That is one of the best things that can deliver a great timesaver. By using the Google Analytics reporting in Google Sheets, googleAnalyticsR, SearchConsoleR and the Google Analytics Reporting API V3 and V4. What am I still looking for? Quality Control & Assurance: Weekly crawls aren’t enough if things are messed up. You want to know this on an hourly basis. Mostly when things are moving so fast that you can’t keep track of changes anymore. More link data: Next to Majestic it would be great to be able to combine the datasets of others as well when doing this research. Doing this manually is doable but not on a regular basis. More keyword data: When you start your keyword research you can just start with a certain set of keywords. But it could be that you’re forgetting about a huge set of keywords in a nice related industry. I’m exploring how to have more keywords to start your keyword research with (we’re not talking about 19 extra keywords here, more like 190.000 keywords). I’m sure the set of tools will keep evolving over the next months when new things happen. I’d love to learn more about the tools that you’re using. Shoot in the comments or on Twitter what I should be using and I’ll take a look! Last year I blogged about using 855 properties to retrieve all your Search Analytics data. Just after that Google luckily released that the limits on the API to retrieve only the top 5000 results had been lifted. Since then it’s been possible to potentially pull all your keywords from Google Search Console via their API (hint: you’re not able to get all the data). Since I’ve started at Postmates now well over two months ago one of the biggest projects that I started with was getting insights into what markets + product categories we’re already performing OK in from an SEO perspective. With over 150.000 unique keywords weekly (and working on increasing that) it is quite hard to easily get a good grasp on what’s working or not as we’re active in 50+ markets that influence the queries that people are searching for (for example, show me all the queries over a longer period of time with only Mexican in the title across all markets, impossible from the interface). That’s why clicking through the Search Analytics feature in Google Search Console was nice for checking specific keywords quickly, but overall it wouldn’t help in getting detailed insights into what’s working and what’s not. Pull all your data on a daily basis so you can get an accurate picture of the number of clicks and how that changes over time for a query. Hopefully get some insights into the actual number of impressions. Google Adwords Keyword Tool data is still vary valuable but as it’s grouped it can be off on occasion. Google Search Console should be able to provide more accurate data on a specific keyword level. Use the data as a basis for further keyword research and categorization. Having used the Google Search Console API a bit before I was curious to see what I could accomplish pulling in the data on a daily basis and making sense of it (and combining it with other data sets, maybe more on that in later blog posts). Daily pull in all the keywords, grouped by landing page so you know for sure you get all the different keyword combinations and your data isn’t filtered by the API. Save the specific keyword if we haven’t saved it before, so we know if the keyword was a ‘first-hit’ for the first time. For every keyword that you return do another call to the API to get the country, landing pages and metrics for that specific query. In our case we categorize the keywords right after we pull them in to see if it’s matching a certain market or product category. So far this has been really useful for us as it’s providing way better ways for dashboarding. The API is very much limiting the keywords that you get to see with only impressions. I was able to retrieve some of the data but on a daily basis the statistics for impressions are off with 50% from what I’m seeing in Google Search Console. However clicks seems to only have a small difference, win! Apparently they’re hiding some of the keywords as they qualify them as highly personal. So you’ll miss a certain percentage because of that. The rate limits of the Google Search Console aren’t very nice, for over 5k keyword it’s taking quite long to pull in all the data as you have to deal with their rate limits. Most of these items aren’t really being an issue for us, we have better sources for volume data anyway. In the future we’re hoping to gather more data around different sources to extend that. I’m hoping to blog about somewhere in the future.